Please note COLOUR when ordering. (image above is for display only). Volume 500 ml, or 17 oz capacity. 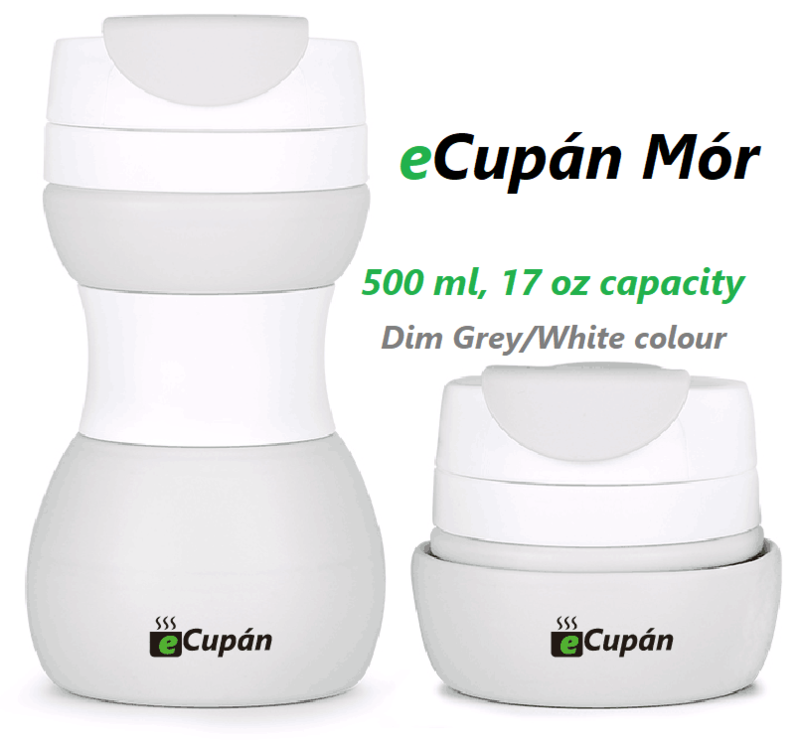 After your Yoga practice this is the ideal re-usable, lightweight and portable cup to use to sip your favourite Tea, Coffee or cool drink. It’s re-usable, collapsible, portable, lightweight and recyclable that fits neatly into your bag. 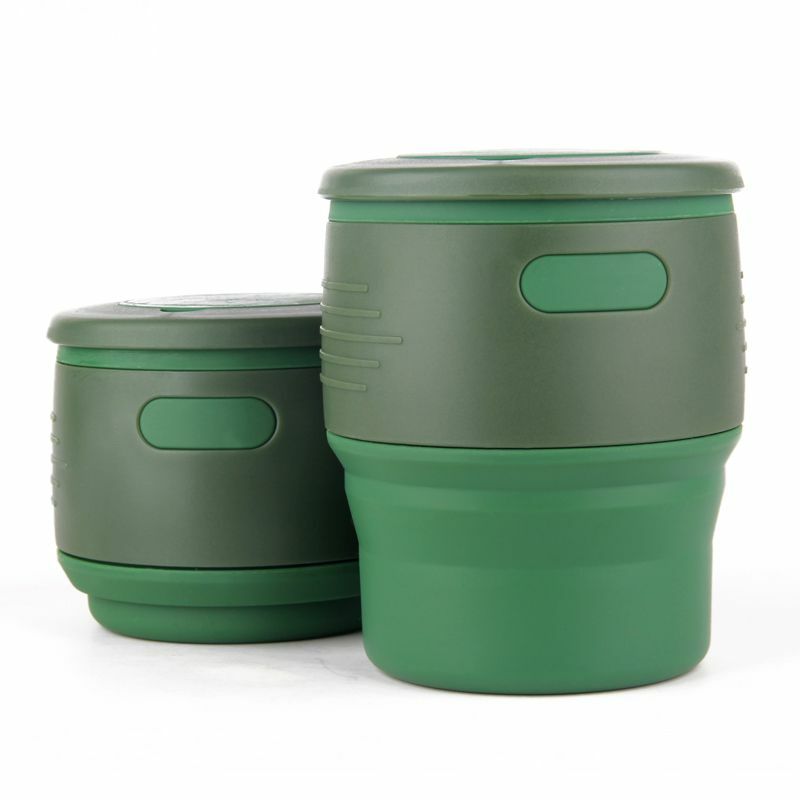 So you can say goodbye to disposable cup pollution and save approx 200 disposable cups going to landfill every year. 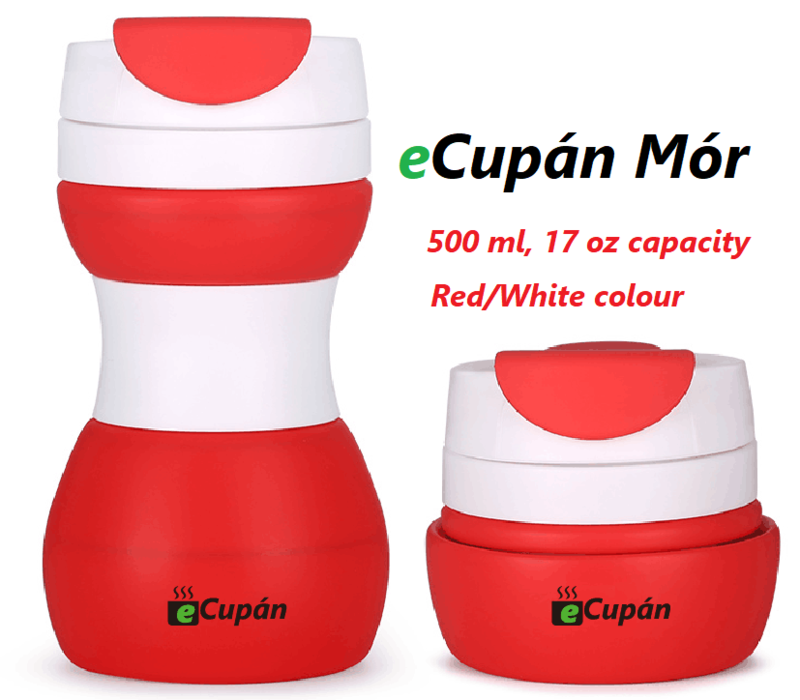 You’re looking after yourself through your Yoga practice and you can look after your planet a little better with your own eCupán – saving landfill waste one drink at a time. Enjoy ! 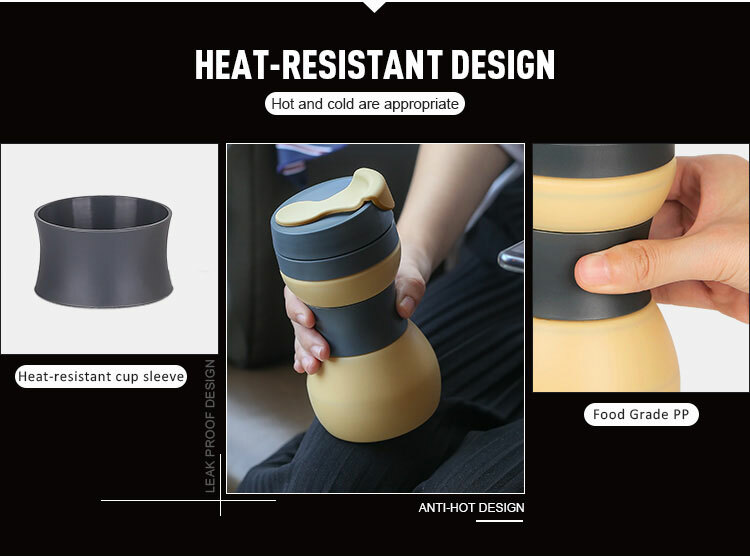 Silicone Collapsible Cup . 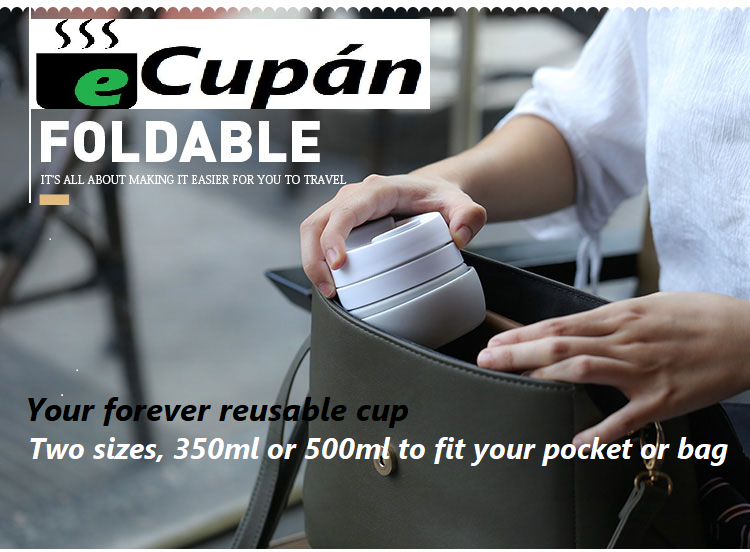 For any coffee or tea drinker who travels light when they’re on the go! Made food-grade silicone and BPA-free material , pp plastic sleeve, means safe and healthy use for the whole family. effectively prevents leaks and if it falls, no worries. 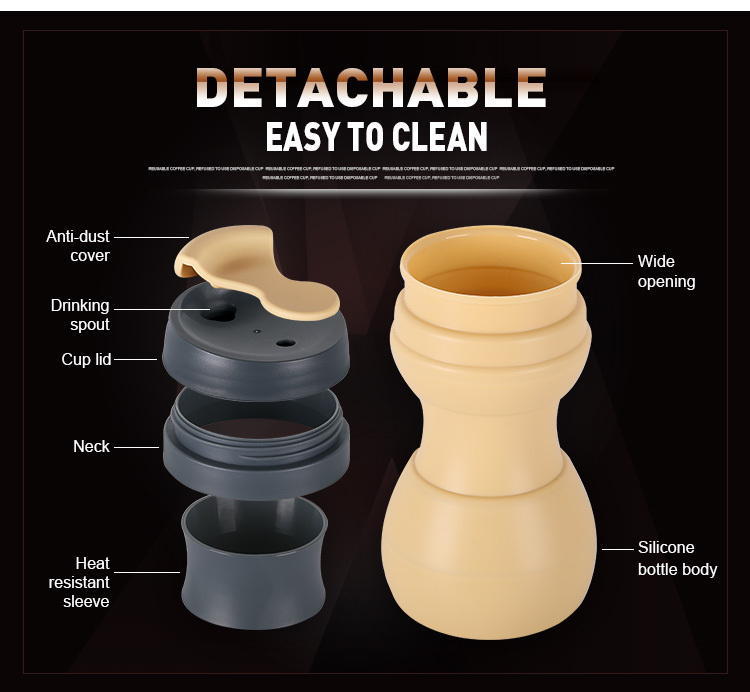 Our Food grade Silicone Tea or coffee cup can safely be placed in the freezer or dishwasher. Great for Camping, Hiking or just walking around the shops. Lightweight and small – fits into your bag or pocket. Collapse it to half height (162 to 70 mm) when you’re done and easily store in your pocket, purse, or handbag. The sleeve and lid all made from Food grade PP, Rigid PP for a good grip. Size: height 162* width 88 mm. Reduces to 70 mm when folded. 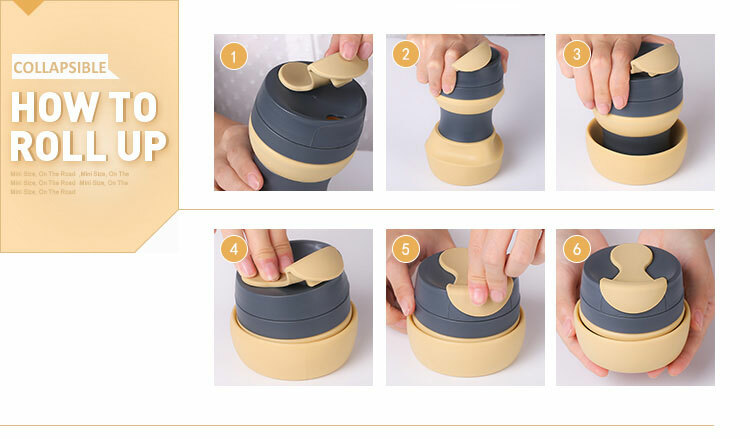 Portable, foldable cup made from food grade silicone materials. BPA free, Nontoxic, No smell and microwave safe, FDA, LFGB certificate. No plastics, phthalates, lead, cadmium, mercury, PVC or BPA ingredients. We use only the safest non-toxic, FDA approved silicone.